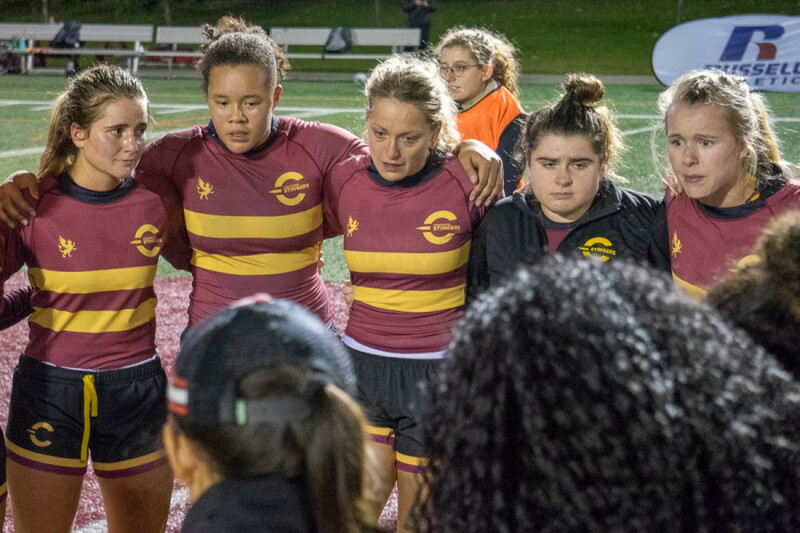 While the Concordia women’s rugby team did not necessarily come in expecting to win in Friday night’s game versus Sherbrooke, they definitely showed up to play. Barrieau noted that overall the biggest weakness shown by her squad was lack of experience. That’s not a knock on the caliber of her players, rather, her team is largely made up of first and second-year players who have yet to rack up significant university minutes. What the team lacked in years of experience, they made up for in drive and heart. 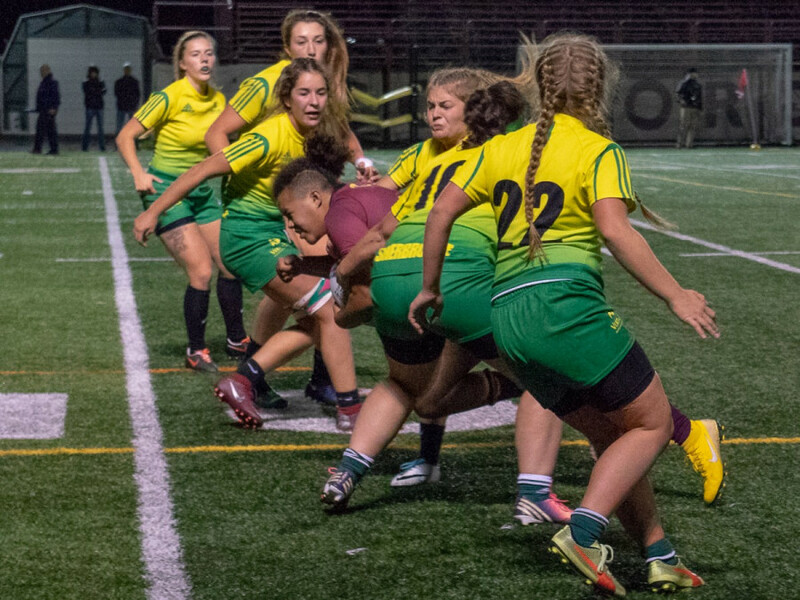 Despite the Sherbrooke side’s high level of skill and physicality, the Stingers put in their best effort, often coming close to their opponent’s try line but just missing that little bit of push to finish. Sometimes this came in the form of a dropped pass or Sherbrooke managing to hold Concordia up from placing the ball down to cement a try. While all their effort may not have paid off all the time, they were rewarded fairly early on in the game when they broke down the Sherbrooke defence to score their first try of the game. Second-year player, Emily Kyte, was pleased with her team’s performance despite the tough loss. The Sherbrooke side was organized and physical, a strong presence on both offence and defence, which challenged the Stingers until the very end. 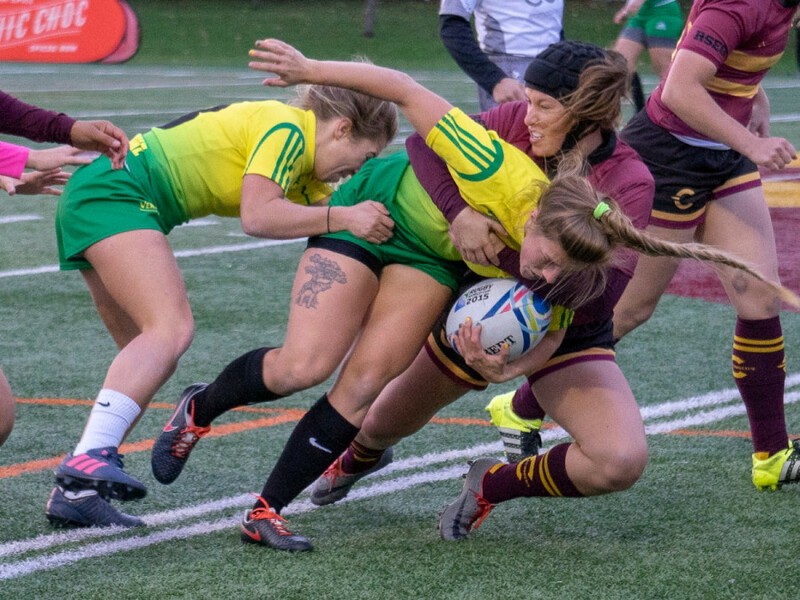 The Vert et Or had a number of fast offensive players which made it so Concordia’s forwards really had to buckle down and make those big tackles. Kyte herself had a big run, demolishing a Sherbrooke player to make space for herself in the end zone, scoring her team’s second of the night. In spite of all their efforts, the Stingers just couldn’t best their opponents. Sherbrooke was simply stronger and more experienced, but that’s something the Stingers squad hopes to become in the coming seasons. With this loss, the Stingers fail to leapfrog Sherbrooke, who lie ahead of them in the Réseau du sport étudiant du Québec standings, missing the playoffs for the first time in over ten years. This year was very much a development year for the program, which fielded nearly a dozen first-year players this season. “We knew we might not get that far, and we did have a lot less numbers this year but the heart that everyone showed this season was amazing, and it was just a great season overall, even though we lost,” said Kyte. Now this team sets their sights on the future as they look to blossom into a powerhouse program. As the team continues to work together and grow as a unit, they could become a force to be reckoned with in this division in coming years. Barrieau’s plan for the future is recruiting, recruiting, recruiting. She also wants to her team to put in some hard work on the field and in the gym this winter. “I’m really excited to give a structure and a strategy to this group and have everybody’s level [of play] just get better, and as a group just keep growing,” she said.